The German government has proposed new regulations for penalising the country’s most inefficient coal and lignite power plants. 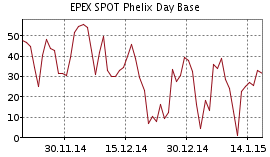 This would particularly hit the troubled power giant RWE. What future is there for RWE in a low-carbon economy? Can it engineer its own energy transition? A lot will depend on whether the German government is willing – and even more so: able – to push through its climate legislation at the expense of the existing power sector, writes Jeffrey Michel. But how realistic is this dream? At the time, RWE had just posted a record € 2.8 billion net loss over 2013. Since then, the company’s outlook has remained discouraging. In 2014, up to 45% of the group’s conventional power plants were running at a loss. The company’s net debt stands at €31 billion and the share price has dropped 70% since 2007. For 2015, Terium has offered no hope of higher growth. Undoubtedly the major issue RWE is faced with is how to deal with its conventional power generation business, which is mostly made up of lignite (37% of the company’s total power generation), hard coal (23%), gas (18%) and nuclear (15%). The nuclear power stations are being phased out. Renewables are good for just 4% of the company’s power generation. (2014 figures). The operating result of conventional power generation was €979 million in 2014, 22% of the total. RWE relies strongly on its German distribution and supply activities (€1.87 billion operating profit). Trading (€274 million) and its activities in the Netherlands, the UK and Central and South East Europe (€1.06 billion) together deliver another 30% of operating profits. Renewables amounted to no more than 4.2% (€186 million) of the company’s profits last year. 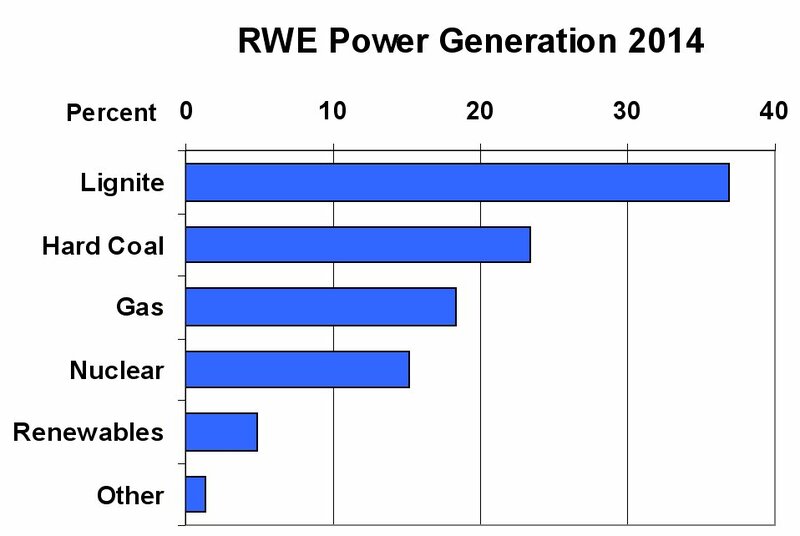 At present, the coal and lignite power generation activities of RWE are protected by low carbon prices. Current allowances (EUA’s) in the EU emission trading scheme (ETS) cost less than 7 €/t. 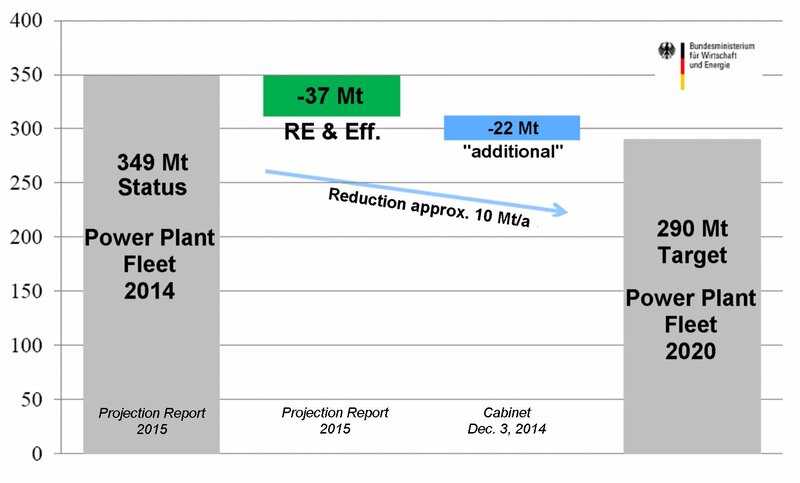 By comparison, the Öko-Institut has calculated that lignite plants could still be competitive up to an EUA price of 40 €/t. Thus, without carbon constraints, RWE’s lignite mines and power stations might survive the onslaught of the Energiewende. 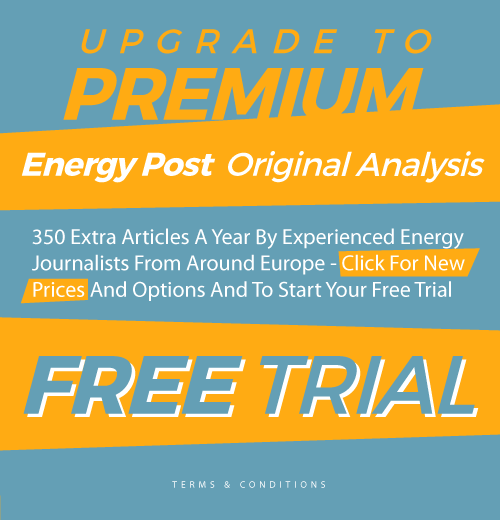 Germany’s shutdown of eight nuclear reactors following the Fukushima reactor catastrophe in 2011 and its gradual phase-out of nine remaining nuclear power plants appeared to prolong the prospects for fossil fuel power generation. By 2020, however, the German government intends to emit only 750 million tonnes (Mt/a) of equivalent carbon dioxide emissions, 162 Mt/a CO2e less than in 2014. Since the electrical power sector is responsible for 40% of all German greenhouse gas releases, the government considers “a rapid and sustainable reform of EU emissions trading” to be essential for climate policy implementation. According to guidelines released by the Federal Ministry for Economic Affairs and Energy on March 27, a CO2 reduction of 22 Mt/a is to be achieved by retiring EU Allowances in fossil fuel power plants older than 20 years. Renewable generation and energy efficiency would eliminate an additional 37 Mt/a by decreasing the demand for fossil fuel generation. Another 104 Mt/a of greenhouse gas reductions would still be required in the remaining sectors of the economy by 2020. The European Energy Exchange AG in Leipzig has said that particular conventional capacities will have to be removed from the market in pursuing Germany’s renewable power goals, since it would be inefficient “to maintain two largely redundant power plant fleets perpetually.” RWE operates 6.92 GW of lignite plants older than 30 years that might soon be retired, or held in reserve to insure grid stability. Only 3 GW of new capacity has been built since 2003. About 175 million tonnes of carbon dioxide were emitted from German lignite usage in 2014, 21.8% of all CO2 emissions (but a slightly lower percentage of total greenhouse gas emissions CO2e) registered by the Federal Environmental Agency UBA. RWE extracts up to 100 million tonnes of lignite per year from three deep (210 – 400 m) surface mines. Combustion of the greater portion in the company’s power stations adds 90 Mt/a of carbon dioxide to the atmosphere. Together with hard coal and gas generation, RWE emitted 125.7 MtCO2e in 2013. 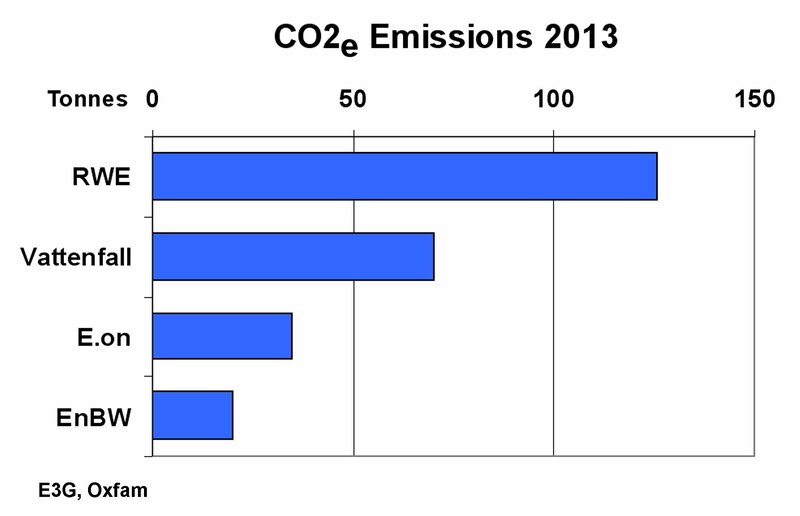 Due to the dominance of high-carbon fuels, the Rhineland is Europe’s leading region for greenhouse gas emissions. According to RWE, the government’s CO2 reduction guidelines could endanger the “future survival of lignite.” The company stated in a reaction to the government’s new plans that older power plants might not only be downgraded, but eliminated entirely by EUA pricing estimated at 18 – 20 €/t. The proposals of the Ministry for Economic Affairs would lead to a CO2 reduction of 70 M/a, said RWE. This would lead to higher electricity prices for energy-intensive manufacturing. “Restructuring costs for the companies affected would run into the billions,” with 30,000 jobs threatened in the lignite industry alone. These arguments seem overstated. For instance, only 21,406 employees are listed on the industry website Kohlenstatistik.de for all of Germany’s lignite mines and grid-connected power stations combined. Smaller heating and industrial plants increase this figure only marginally. On March 24th, the regional newspaper Rheinische Post reported that RWE might need to close two lignite mines at Inden (22 Mt/a) and Hambach (40 Mt/a) by 2020 as a result of the new climate policy. Mining had originally been expected to continue there until 2030 and to mid-century, respectively. The inherent CO2 avoidance would provide the reductions expected of the entire electrical power sector (59 Mt/a). However, since no restrictions would then be necessary for any other utility corporations in Germany, this might put RWE at an unreasonable disadvantage. More likely, relief would come from other sources. For example, Vattenfall decided in October 2014 to sell its four lignite power stations and five surface mines in eastern Germany for improving its corporate CO2 balance. Of the 8.1 GW total plant capacity up for sale, the power station at Jänschwalde (3 GW) and two sections of Boxberg (1 GW) are older than 20 years. Their combined emissions of 32 Mt/a CO2 might conceivably be reduced to fulfill Germany’s 2020 power generation climate target entirely near the Polish border, where abundant solar and wind installations provide substitute capacity. Some of the mined lignite could also be shipped to the Czech Republic. Note that with the exception of one 675 MW addition at Boxberg, Vattenfall’s entire plant fleet will be more than 20 years old by the end of 2020. Moreover, in eastern Germany fewer industrial customers need to be served. The key question for RWE is whether the government is prepared to ram through its climate policy at the expense of the lignite and coal power sector. Realizing sufficient generation capacities for substituting the current scale of lignite power generation would not be easy. Germany generates a quarter of its electricity with lignite, making widespread retirements of power stations improbable and costly. As indicated in the table, the total quantity of electricity (2014: 155.8 TWh) currently provided by 23.1 gigawatts (GW) of lignite capacity is equivalent to nearly four times (91.8 GW) the amount of renewable power generation (161.8 TWh) in Germany. The lignite mined at Hambach alone already provides 5% of national grid power supplies, around 30 TWh/a. At the same time, 1.3 GW of offshore wind power capacity is presently dormant due to incomplete transmission connections. As much as 71% of Danish wind power deliveries to Germany have also been blocked for similar reasons. A recent letter from minister for the economy Sigmar Gabriel to the CDU/CSU group of German parliamentarians shows that the government is shying away from inflexible measures against fossil fuel power generation. Older plants will have “sufficient time to accumulate financial reserves” during periods of high grid demand “for avoiding closure by the climate levy.”, Gabriel wrote. Plants commissioned over 40 years ago would also be provided with an additional 3 Mt CO2 emissions credit per GW. About 90% of all fossil fuel power generation could consequently remain impervious to the new climate guidelines. In addition to federal policy, local mandates are already in force. Thus, for example, the state of North Rhine-Westphalia enacted in 2013 a legally binding 25% emissions reduction target for 2020 compared with 1990. Fulfilment of projected targets would ultimately require between 1.4 and 2.5 billion tonnes of RWE lignite to “stay in the ground” according to the environmental organization BUND (Friends of the Earth Germany). A related key question for RWE is what the government will do with the feed-in tariff. Power trading prices often fall below fossil fuel costs during periods of solar and wind power oversupply. Conversely, renewable energy revenues are increased under these conditions. Green energy suppliers therefore realize disproportionately higher earnings to the competitive disadvantage of legacy power producers. With scarcely 5% renewable power, RWE sells the bulk of its electricity at less profitable rates. According to an analysis in the Rheinische Post, RWE managed to turn in an operating profit from its power generation business thanks to earlier contracts. If they had been forced to sell at the average trading price of €32/MWh, the business would have made a half a billion loss. For RWE it is therefore critical whether the government will continue to favour renewable energy feed-in tariff policies. The Federal Commission of Experts for Research and Development in Berlin has recommended that Germany abandon its feed-in price guarantees altogether. In 2013, the tariff led to additional costs of 22.9 billion €. What options does RWE have to cope with its current challenges? For one thing, it is saving on costs. A new RWE program termed “Lean Steering 2.0” has been instituted for increasing cost savings from previously €500 million to €2 billion by 2017. The company had already formed “Centers of Expertise” and “Shared Service Centers” in the first phase (1.0) of this effort. After eliminating 5,000 employees in 2014, RWE will now be trimming down its current staff of 60,000 in the administrative sector. The Rheinische Post had earlier reported on plans to merge several subsidiaries. A plethora of board members and supervisory committees would be reduced along with overall administrative costs. In addition, the company can develop other activities: renewables, trading, supply and distribution. The company’s capabilities in transmission, trading, and marketing are described by Peter Terium as “healthy”. That consideration is of particular relevance to the 86% institutional owners of RWE. BlackRock Financial Management holds 5%, but another 15% is distributed among 24 municipalities, 31 counties, three communal institutions, and 27 savings banks, insurance companies, and local utility companies. The remaining 14% is held by private shareholders and employees. RWE is also pursuing other opportunities. Mr. Terium recently returned from Silicon Valley after investigating “more products from the Google World”. 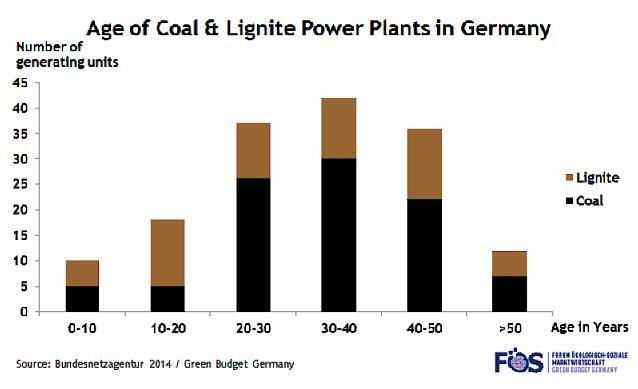 The declining profitability of lignite power operations may be offset in the future by customer-oriented services. Multi-functional Smart Home systems enhanced by security functions and SmartCams have already been introduced. With low-priced power increasingly available on the grid, RWE’s traditional centralized generation will be supplemented by last-mile services to the customer. Jeffrey Michel (jeffrey.michel@gmx.net) is an independent energy consultant and author based in Hamburg, Germany. A graduate of MIT in the US, he has published extensively on carbon capture and storage (CCS), lignite in Germany and other issues related to the Energiewende. See his author’s archive. The holistic energy manager of the future’”. Energy Post: Amsterdam. projects of the 18th legislative term”. BMWi: Berlin. Strommarkt für die Energiewende”. EEX: Leipzig, p. 4. Klimaschutz leisten”. Bündnis 90/Die Grünen: Berlin, Düsseldorf, p. 1. Schwartzkopff, Julian (March 25, 2015): “Coal in Germany: State of Play”. E3G, Oxfam: Berlin. endanger the future survival of lignite”. RWE: Essen. in the room”. Energy Post: Amsterdam. Energien: Berlin, p. 17 – 18. Staude, Jörg (April 14, 2015): “Klimaabgabe schont Großteil der Kohle”. Klimaretter: Berlin. energiewirtschaftlich notwendig und klimapolitisch möglich?”. Öko-Institut e.V. : Freiburg, p. 5. Braunkohleausstieg erreichbar’”. BUND North Rhein-Westphalia: Düsseldorf. Leistungsfähigkeit Deutschlands. EFI: Berlin, p. 52. Flauger, Jürgen (April 13, 2015): “Die nächste Sparrunde”. Handelsblatt: Düsseldorf, p. 20. Höning, Antje (February 4, 2015): “’Stammhaus-Konzept’. RWE will Töchter zusammenlegen“. Schuster, Jochen (April 4, 2015): “Spannungs-Abfall”. Focus: Munich, p. 60. RWE Aktiengesellschaft (March 10, 2015): Geschäftsbericht. RWE: Essen, p. 12. Verband der kommunalen RWE-Aktionäre GmbH, Essen. Home“. NetMediaEurope Deutschland GmbH: Munich. A very fine article. My only criticism is that it gives perhaps too much sympathy to RWE (and thus by extention to the other “usual suspects”. 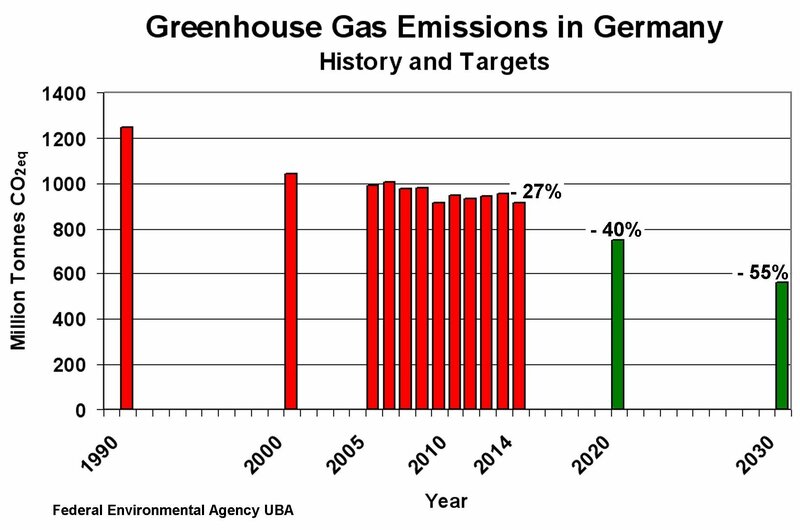 German (and EU) CO2 policy has been clear since EU ETS was first discussed in … circa 1995. Whilst the level of impact (and to some extent its timing) had some variability, the overall trajectory of travel was never in doubt. Put another way – it was pretty clear by 2007/2008 the growth of RES and its probable impact on prices. RWE (& EON etc) were still fat & happy at that stage & did nothing. They are now reaping the “benefits” of doing nothing (or next to nothing). The problem facing RWE & EON (and fossil companies) is that the structures they have are fine for a high margin business (centralised power generation) – but not for distributed generation.